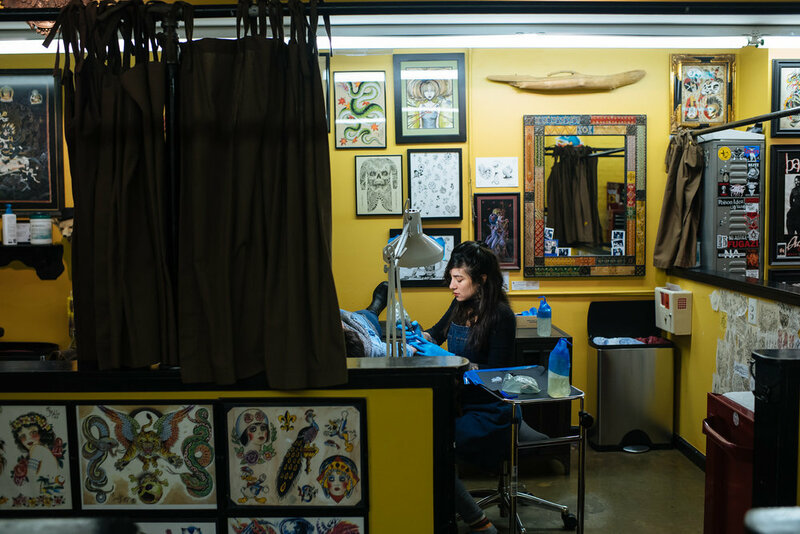 Liana Joy cut school with her best friend, chalked her ID, filled a 7-Eleven Slurpee cup with beer and rode the train into Manhattan to get her first tattoo. At 16, she was hooked. 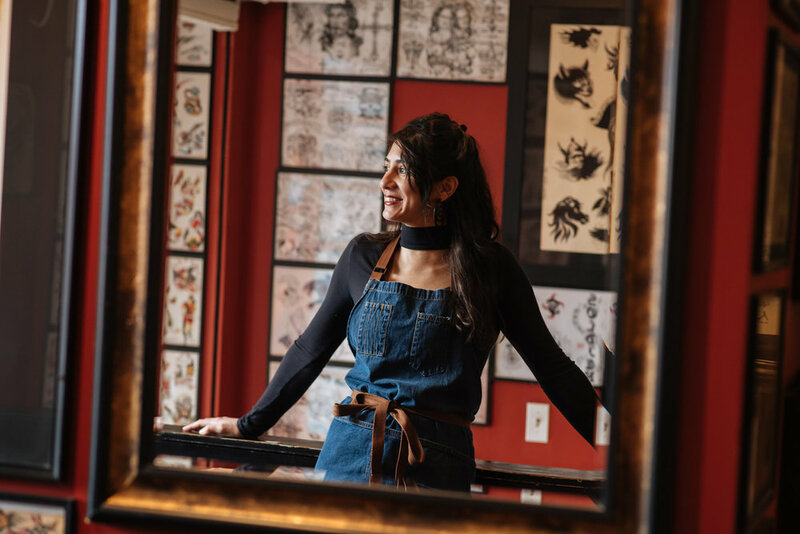 In her early twenties, Liana completed a 6-month apprenticeship and gave her first tattoo—a Harry Potter lightning bolt on an old friend. Nearly a decade later, after stints in New York, Colorado, and Arizona, Liana is one of two female tattoo artists at Jinx Proof. The well-known M Street shop was established in 1996—the first tattoo parlor to open in DC since 1983. Before moving, Liana associated DC with politicians and suit-and-tie government employees. She was surprised to find a city full of diverse careers, cultures and lifestyles, all of which are reflected in Jinx Proof. 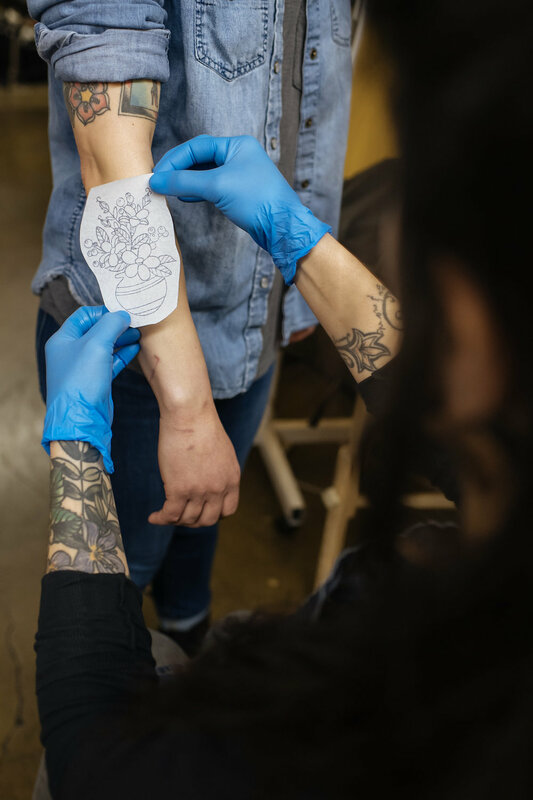 Black and grey tattoos are popular at the moment, but Liana says she likes working with color—gravitating toward clean, illustrated, palm-size tattoos with a lot of line work. She loves to draw anything associated with nature—from flowers to plants, animals, trees and mountains. 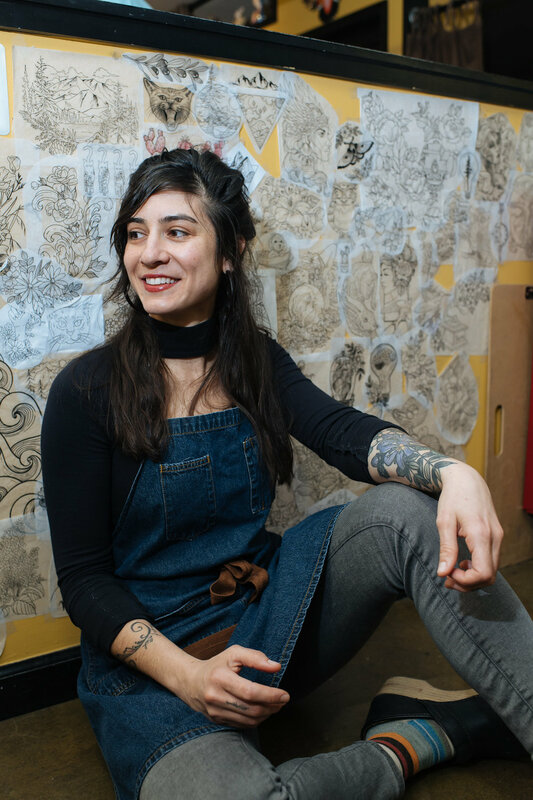 Her own tattoos reflect this—an entire leg tattooed with flowers, with plans to do the same on her arm. Liana says she’s found her life’s work, but acknowledges the physical toll tattooing takes on her back, arms, and hands. The male-dominated field can also be mentally draining. Liana is frequently sought out, doing up to 20 tattoos during a busy week. That’s too many to count over the course of a decade, yet it was a simple request from her parents that’s been the most nerve-wracking of all. It’s the permanence of the act—whether on her parents or a complete stranger—that Liana reveres.